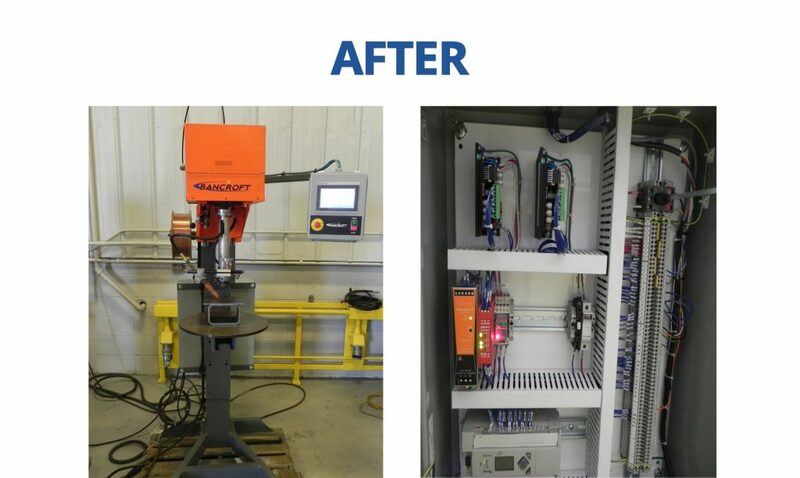 Using outdated or broken welding equipment can be hurting your company’s productivity, quality, ROI and more. The cutting-edge technology that was out 5-10 years ago is far behind the welding equipment of today. Rebuilding your current, outdated machines can improve welding performance and give you the reliability your company needs. 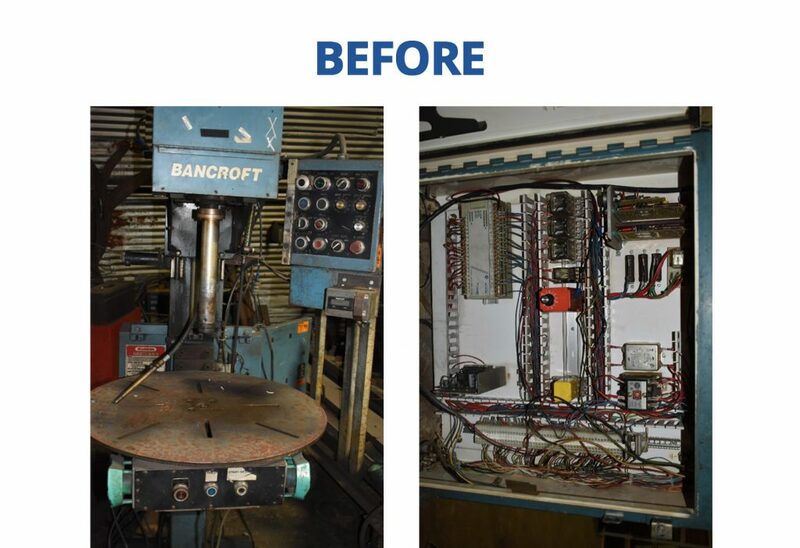 Bancroft does more than offer new welding equipment—we can rebuild and update your old and worn out machinery, whether you purchased it from us to begin with or not. 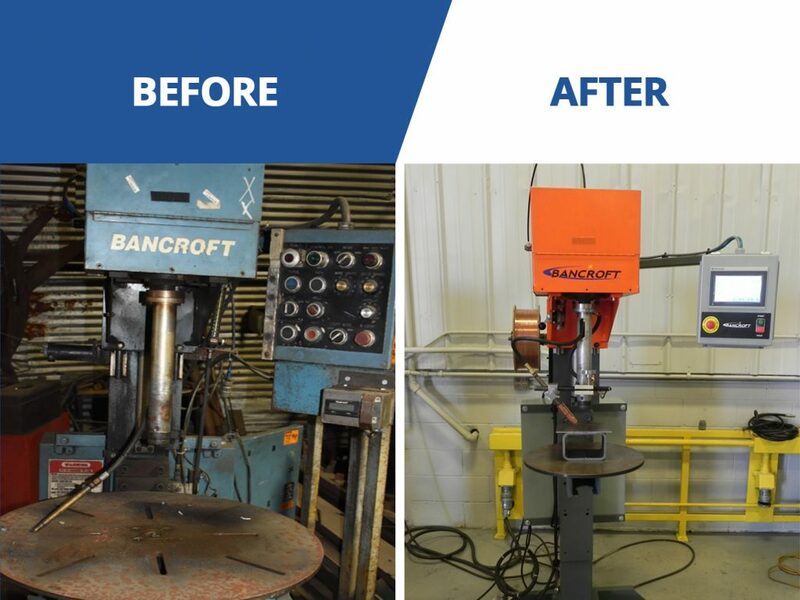 During the rebuilding process, Bancroft will make aesthetic improvements, replace any worn parts, inspect the machine for future problems and update all welding components that may have become obsolete. Featured below are the before pictures of our 300 Welda-Round that has been in use for many years. This machine has just been updated by Bancroft. The photos below are what it looks like after the upgrade was completed. How old is your welding equipment? Today’s state-of-the-art welding technology will make your equipment run more efficiently and create an immediate payback. Give us a call and we can help you make your welding equipment look and function like it’s brand-new!